Make no mistake about it, black men are nurturers and please don’t doubt that they aren’t caregivers as well. They possess the disposition and patience to beautifully pour into the lives of our children, our most precious possessions. In my humble opinion, there is something powerful to be said about an organization and its founders who intentionally seek to change the dynamics of a profession while simultaneously influencing the image of black men on a worldly scale. 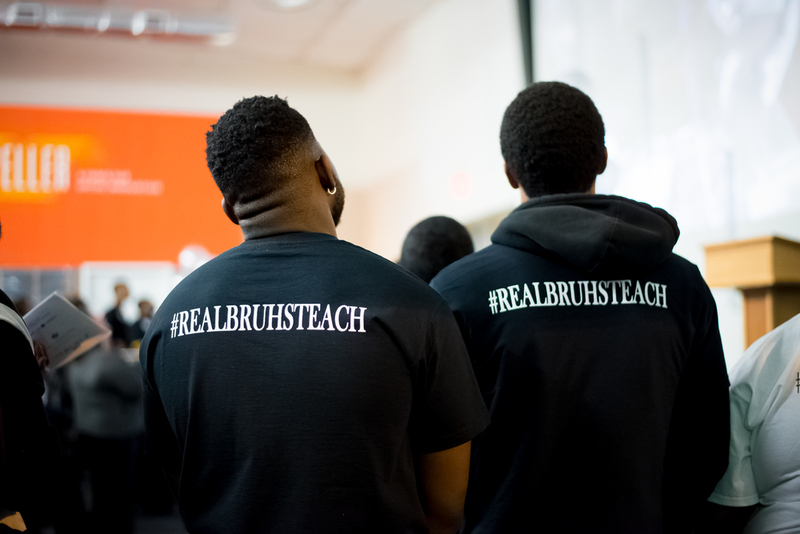 Brothers Empowered to Teach is utilizing its voice and talents to change the narrative and increase the number of Black male educators. I had the liberty to have a conversation with the founders of Brothers Empowered to Teach and some of the ‘Bruhs’ (a title given to the fellows of the program) and I was also able to spend a Saturday at one of their monthly ciphers, a gathering of minds that offers a place for one to present their thoughts and discuss ideology. Because Brothers Empowered to Teach (BE2T) intentionally makes it a point to spark conversation with young men who may not particularly see themselves in the classroom teaching or think that they would excel at a career pouring into the lives of our kids. It usually starts with a casual conversation or an invitation from a current Bruh to one of his peers to come check out what they are involved in. The Brothers Empowered to Teach fellowship program then matches these young men with a school that fits their personality and they begin working with kids honing their talent and developing their skills while still receiving in-depth support and training from the program, made up of seasoned veteran teachers and community leaders who all have a personal stake in making sure that the students of New Orleans and Baton Rouge see educators, adults, and leaders that look like them. On the particular Saturday that I spent with the Bruhs, they were engaged with Dr. Lisa Green-Berry. 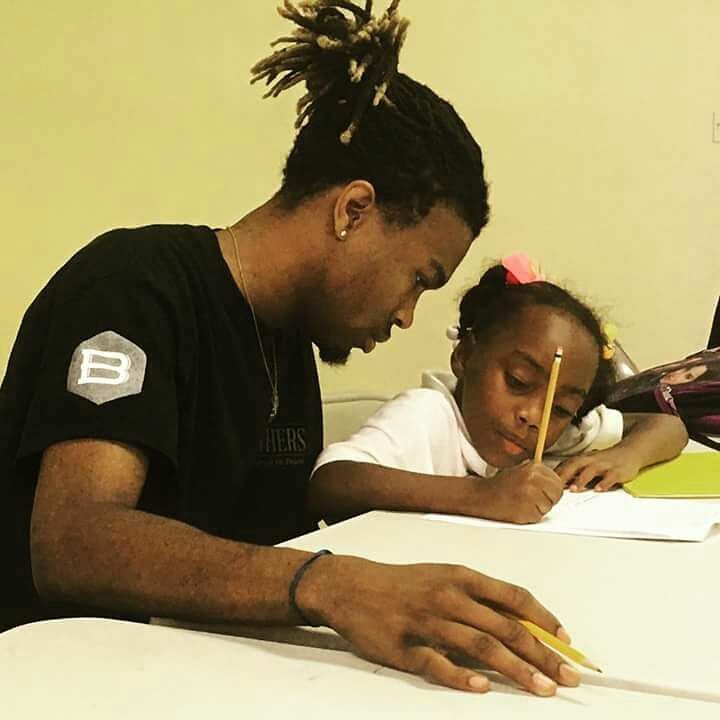 The BE2T cypher is also designed to offer a safe space that gives them freedom to speak their minds about any situation that they are dealing with at school, in their career or just in general. It’s a comfort zone to release and decompress from life’s sometimes sticky situations with a group of your peers when you need someone to lean on with no judgment and in return receive love and support. Of course, the cypher also offers a quasi-regimented monthly topic and this month Dr. Green-Berry addressed the young men about the concept of trauma, specifically the type of trauma experienced in black and brown communities around mental and emotional sustenance. In our communities, we find so many times that we casually look over problems and instances of mental or emotional trauma as nothing major or just something to pray about. While I’m not opposed to praying, I think it’s the works that go along with it that move us forward in productive and progressive ways. While what happens in the cypher stays in the cypher, the amazing level of support and authentic embrace was truly warm and moving. The release bestowed on each one of us as the Bruhs and other staff members shared their thoughts and experience was so therapeutic that it brought many of us to tears as we resonated with the situations being spoken of. My son was also with me during the visit and after experiencing the BE2T cypher we were able to open up important dialogue between ourselves that was great for our relationship. Support, communication, and a healthy dialogue were a noticeable running theme. BE2T has partnerships with over 10 schools in the New Orleans and Baton Rouge areas. There are 35 students in the program with 15 of them in the New Orleans area. Four graduates of the program teach in New Orleans area schools. One Bruh was attending Mississippi State as a graduate assistant and has now graduated from that Masters program. Brothers Empowered to Teach is truly making positive strides in putting male educators in our classrooms who offer a significant impact in our children’s lives. The black male educator is a rare gift that most children do not have the opportunity to experience in their life. It matters for our children to see black men in comforting, giving and uplifting situations. The fellows of Brothers Empowered to Teach offer a dedication so important to the success of our community and our schools. This organization is a true jewel of our city and the work they do is impactful on so many levels. Giving young college students a guided and supported path in life that spills over into the classroom, while simultaneously pairing lives in our community that truly need to cross paths. We appreciate these inspiring educators and those who support their dreams to impact the lives of our most precious jewels. Lamont Douglas is a New Orleans father and activist who writes for the Second Line Blog.